I have been a loyal ThredUp customer for awhile and love how easy their site is to shop, the items the offer and how quickly they show up on my doorstep. With our new lifestyle, these things are all very important to me. If I can shop while pumping, snuggling or just resting, that is ideal. I couldn't help it, my mouse just wandered to the baby section! 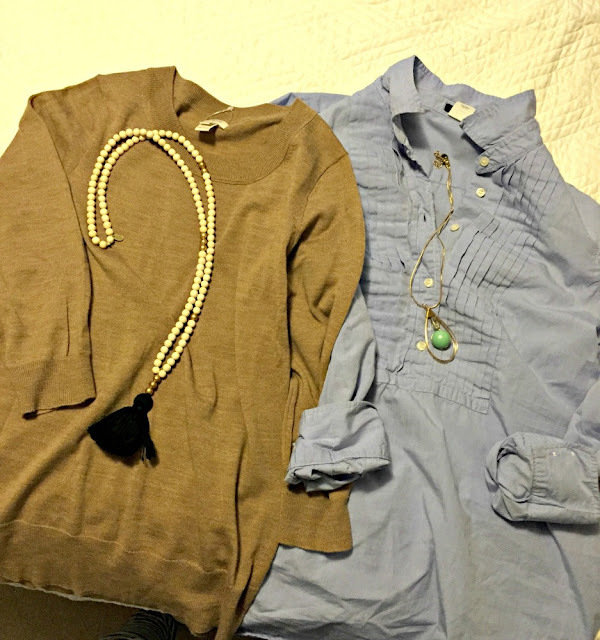 One of my favorite brands to look for and pick up from ThredUp is JCrew. I love JCrew as much as the next girl but I do not love their prices. ThredUp to the rescue! While I love trendy pieces, when investing, I often try to pick up basics and classics that are going to last me a long time while also being able to layer/mix with other items I own. While perusing the site, I quickly landed on the below items. A camel sweater (classic and somehow I didn't own one) and a blue oxford popover. I am already dreaming up about a million outfits for that popover. From work outfits to casual weekends with some cute jeans and booties. While work and date night attire is fun, I love a cute casual outfit just as well. 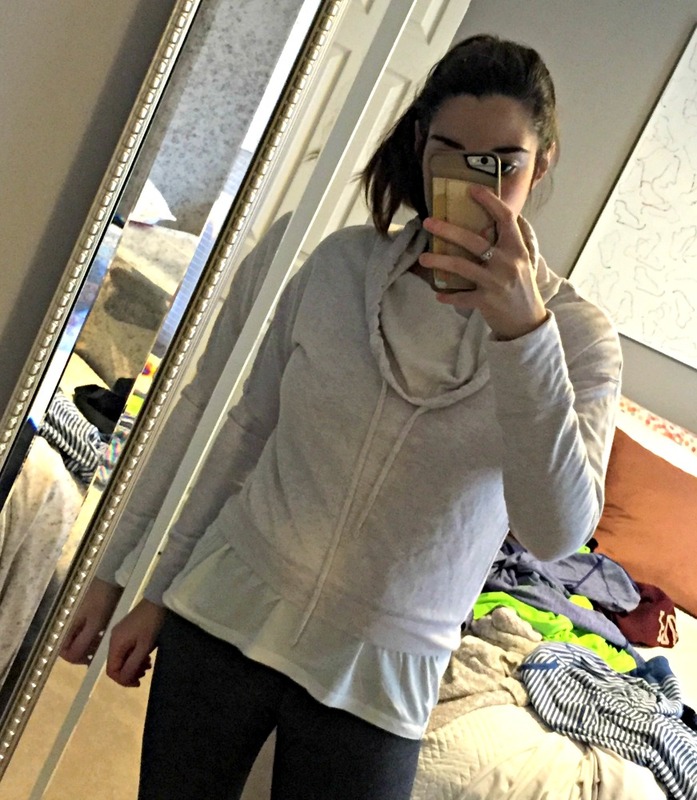 With my daily trips to and from the NICU, I have been living in my casual wear but quickly realizing everything I own is mostly workout/running gear. I was in desperate need of some cute casual wear that didn't also grace the presence of the gym. I was immediately drawn to this cozy sweatshirt ($11.99, regular $36.00) and pretty sure I will be living in it this fall. 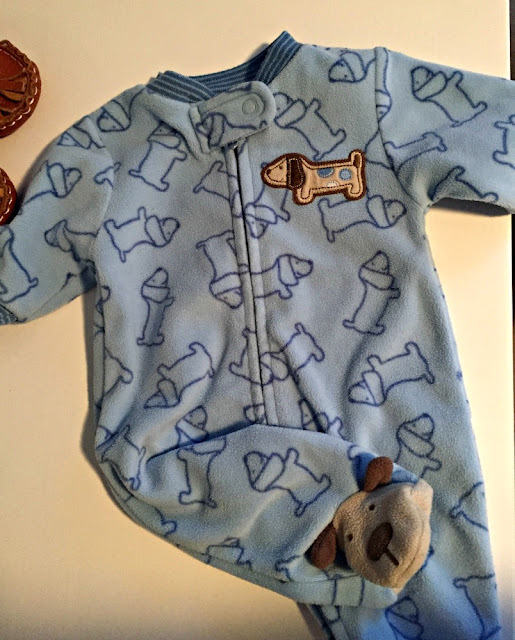 As I said, I couldn't pass up the baby section and when I saw this onesie I knew it was a MUST for Little Mister. I mean it has bassets on it, clearly he needs it! I saved over $125 on these items, how amazing is that?! I would say my Fall wardrobe is off to a good start! Lucky for you guys, ThredUp is offering some amazing limited time deals!